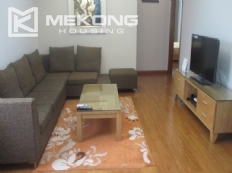 This 3 bedroom apartment has 135m2 living area, it is ideally located in the heart of Hanoi city. 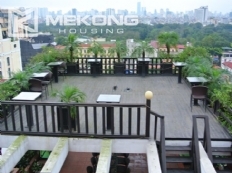 It has a open plan kitchen, large lounge/dining area, large bedroom with a screened window and balcony overlooking Hanoi City, bathroom with bathtub and washing machine. The apartment has 109m2, full and new furnished, easy to traffic, you can walk around lake every morning. Beside, The new big building have many apartment with 1 bedroom, 2 bedrooms, 3 bedrooms for your choose. 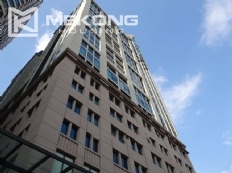 This deluxe apartment has a 190m2 living area, peacefully placed on the high floor Hoang Thanh Buidling in Mai HAc De street - Hai Ba Trung District Hanoi. 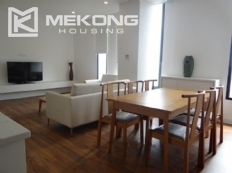 Brand new furnished and serviced apartment for rent, located in a peaceful and greenly neighborhood of Hai Ba Trung district, close to Hanoi University of Technology as well as French Hospital, direct car access, on the lake bank, with access to many shops and facilities.